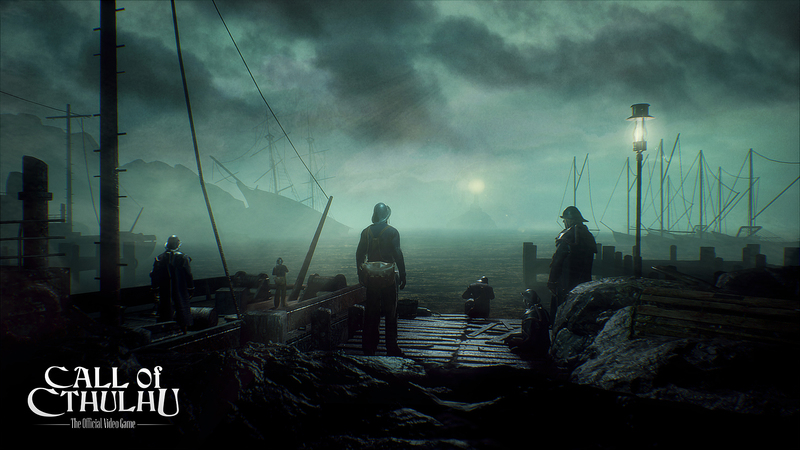 Call of Cthulhu has been adapted to videogames many times over the years and in many forms. From first-person horror games to point-and-click adventures, developers have been mining the Call of Cthulhu depths for a while. Cyanide Studio is the next one to take a crack at it, this one being a first-person horror game/investigation role-playing game that takes heavily inspiration from the tabletop game of the same name. Our walkthrough began in a cemetery. The protagonist, Edward Pierce, arrives here on an investigation into the mysterious deaths of the family who resided in the mansion here. The presenter takes the time to investigate some nearby gravestones as they press forward. Most of them only elicit remarks from Pierce, but one gravestone with flowers laid in front of it is made note of, granting a few experience points in the process. As this is based on the tabletop game of the same name, it works in a bunch of skill trees and statistics. These influence his ability to perceive clues while investigating or the likelihood of success with certain dialog options and so on. They didn’t dwell on these menus much due to time, but it’s clear the developers are committed to capturing the tabletop games’ essence. I just hope it doesn’t result in the game’s investigation and exploration elements being bogged down by systems. After inspecting the graveyard, Pierce continues to make his way to the mansion. He runs into the groundskeeper along the way, who’s none too happy to see the detective snooping about. A dialog wheel appears. There were three options: persuasion, intimidation, and small talk. As this was still early on in the game, Pierce was still a novice in each of them. The presenter tries to intimidate the groundskeeper, and it doesn’t really go anywhere. So instead, they make use of the knowledge they gained earlier from examining the gravestones. The flowers they encountered earlier were placed there by the groundskeeper, Pierce deduces, which allows them to successfully complete the conversation on a amicable note. That’s important because your relationships to the people you meet are persistent. How you treat others will affect how they treat you in turn, and how likely they are to assist you later on. The groundskeeper’s disposition following their conversation was friendly, I believe. The presenters followed up by showing the team of investigators you can recruit, who can then be sent to look into other cases across the island. From there, it’s into the mansion. They wander its halls a bit before finding the room where the family died. They looked closely around the room searching for clues. A fire had broken out here, leaving few traces of what went down, but they still managed to find enough to piece together the details. By drawing connections between the right pieces of evidence, they’re able to paint a clear picture of what transpired. The police report ruled it a suicide, but as Pierce puts together al the clues he found, he comes to a different conclusion: murder. The demo jumps ahead to much later afterward, showing off a bit of where the Lovecraftian elements start coming into play. Pierce is now in an art gallery of sorts. Ornate statues and paintings line the walls, each seeming a bit… off, somehow. The presenters make their way further into the area, eventually reaching a painting that stands in the center of a room. As Pierce approaches it, something begins to crawl out of it. The camera purposely doesn’t give us a good look at what emerged from the painting, only showing glimpses of its limbs. From here, the game looks a lot like Amnesia from Frictional Games. The detective sneaks around the room, trying to evade the monster’s gaze. He eventually hides in a cabinet, just as the monster starts to catch up with him. As he sits in the cabinet, his heartbeat begins to get louder as the screen begins to blur slightly. Sometime in the leadup to this scene, he developed claustrophobia. The presenters then take this moment to briefly talk more about phobias and how they develop over the course of the game, sometimes alongside Pierce’s eroding sanity. The monster lingers just long enough to push him to the brink before scurrying out of the room. From there, they proceed to pick up a dagger and make a run on the painting the monster crawled out of. It notices them in their haste, but they manage to reach the painting. Pierce then plunges the dagger into it. Except, a few seconds later, it pushes the dagger back out, leaving the detective helpless as the monster runs up behind him and begins to strike. As the monster grabs him, the demo ends. 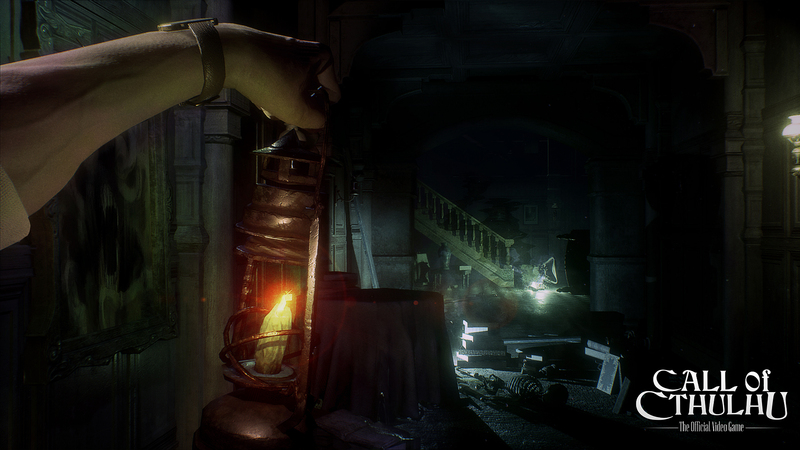 Call of Cthulhu is out later this year on PC, PlayStation 4, and Xbox One.